We worked with Warner Music Group and Craigman Digital to produce a custom interactive CD for Linkin Park, a popular rock band from Agoura Hills, California. 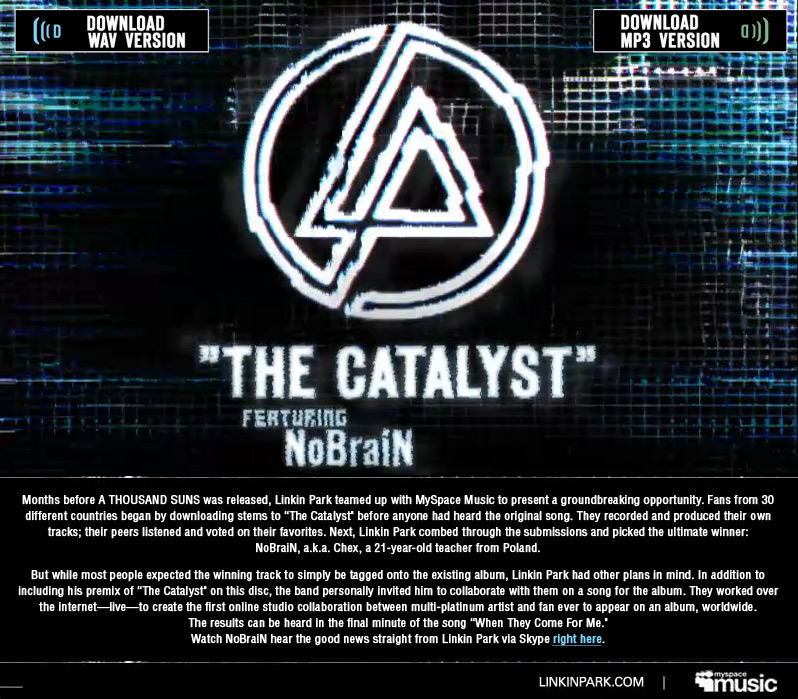 The Linkin Park NoBraiN multimedia piece copies an mp3 file to the user’s desktop (Windows or Mac) using Flash and mProjector. The mProjector software extends the default abilities in Flash to give system-level access to files and folders. Tornado’s development team completed this project in August, 2010.